Let reality take on a new dimension with Capgemini Love&Ace. 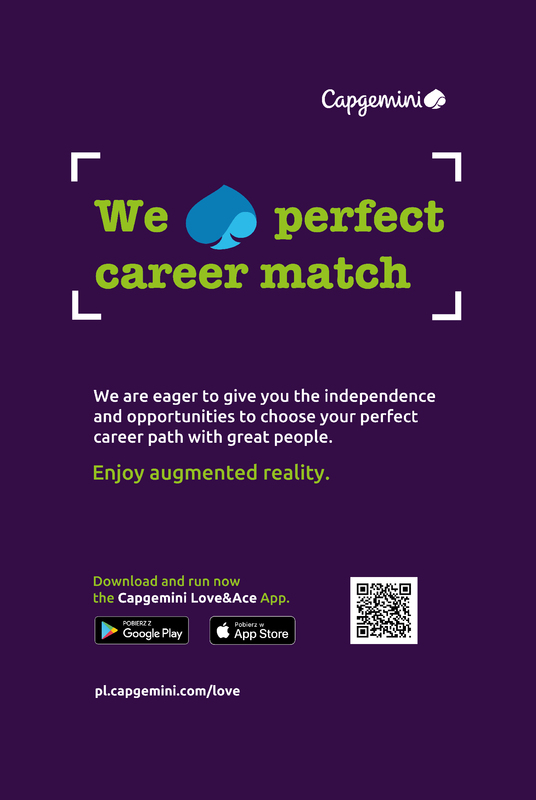 Experience your first encounter in augmented reality with us. Get to know us and let us get to know you by answering a few funny questions. Find out how much we fit together. Give yourself a chance to find the perfect path for your career among friends. You may feel safe and anonymous as our application doesn’t collect or process any personal data. Have fun! 3. Dont`t see an ad around? You can see our ads below. Download the ad here: Capemini Love&Ace Marker (jpg) or Capgemini Love&Ace Marker (pdf).